Miss India Australia Corporation or MIAC’s 2015 Touch The Soul is a beauty pageant exclusively organised for Indo-Australian men and women. The contest will be judged by Bollywood queen, the gracious Soha Ali Khan. The winners will be flying to Jamaica to take part in the international beauty pageant. 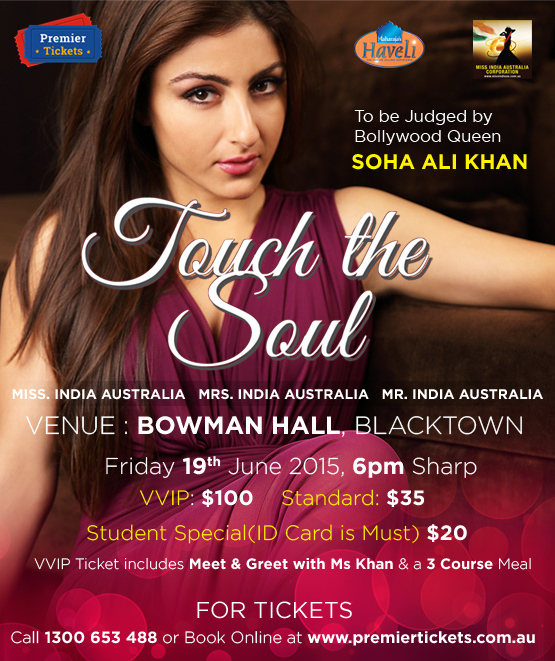 MIAC’s Mrs/Miss/Mr India Australia “Touch the soul 2015″ contest is not merely about judging contestants on the basis of their awesome features and vital statistics. It is also about nurturing the individual, their hidden talents and the beauty of their personality. “Touch the soul 2015″ is one sensational evening you surely want to get onto ! Premier Tickets offers you the chance to meet the beautiful Soha Ali Khan. The VIP ticket for Touch the Soul 2015 entitles you to a face to face Meet & Greet with Bollywood actress Soha Ali Khan while they enjoy a 3 course dinner as part of the offer. The dinner will start at 8:30 pm with includes desserts. 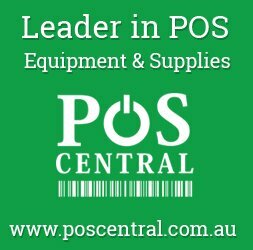 Bowman Hall is a great venue for live entertainment events in Blacktown, Sydney. Located at Campbells street, Bowman Hall has a grand stage along with rectangular and round tables & offers seating for 800 people.